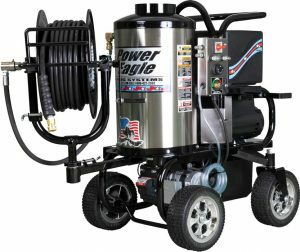 Power Eagle helps you keep your undercarriage salt free, and your wheels, frames, and tanks rust free with the wet sandblast kit! Get the perfect rinse faster than ever with the downstream soap injection kit all while easily reaching around trucks and equipment with the 100′ hose reel kit. 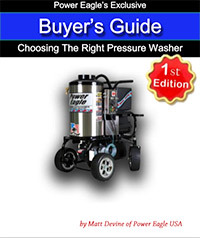 2300 PSI @ 4 GPM and Power Eagle job matched detergents for fast efficient washing.